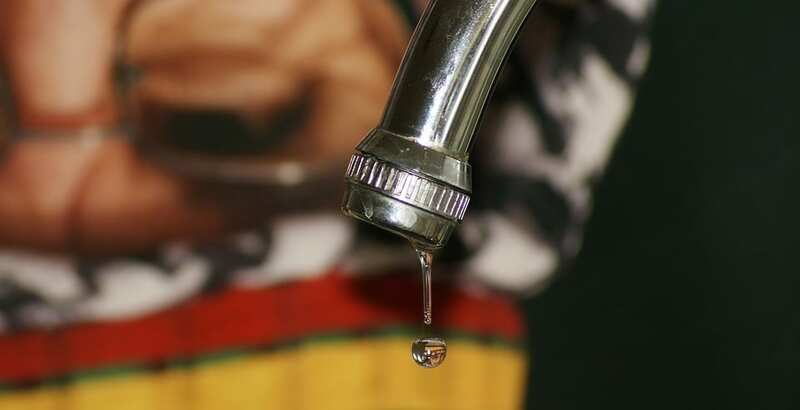 There are many reasons your taps might lose water pressure. It might be the fault of a blockage, corrosion – or a lack of pressure at source. In order to fix the problem, naturally, you’ll need to first identify precisely what the cause is. Let’s take a look at how this might be done! Where is the problem localised? If the problem is spread across the entire building, then you might need to install a larger water main, or a supplemental booster pump. Such losses in pressure usually come about as a result of home improvement projects where more water fixtures are added. Both jobs will require the attention of a professional plumber. If the problem is localised in your kitchen, then a blockage near the sink is probably to blame. Fortunately, this is something you’ll be able to resolve yourself. Before proceeding, you’ll want to turn off your home’s stopcock. This can usually be found below the sink in your kitchen. It’ll turn off your home’s water supply, and allow you to work on the tap without spraying water everywhere. A tap’s aerator screen can be found near the end of the spout. It’s a miniature grille designed to create an even, consistent, and quiet stream of water. Unfortunately, it can also get blocked with sediment over time. Disassemble the aerator and clean it using a solution of warm water and vinegar. If you need something a little more abrasive, you might use cola or a commercial descaling cleaner. Once you’re finished, stick everything back together and check the pressure again. If the aerator isn’t responsible for the low pressure, it’s time to check a little further along the pipe. Find the screw beneath the spout and remove it, and you’ll be able to see a small metal device called a cartridge. Give it a thorough clean or – if it’s broken – take it down to your local DIY shop and get a replacement. If you suspect this was the source of the problem, reassemble the tap and try again. If you’re especially unlucky, a blockage might have occurred outside the kitchen tap itself. In this instance, you’ll need to use a wrench to remove the riser from the basement. If the sink is being fed from a pipe that disappears into the back wall, then you’ll need to remove it to check the entire length of the pipe. In this case, the best approach is typically to get a plumber out to inspect and assess the damage! Looking for a replacement kitchen tap? View our extensive selection here. Previous Previous post: Can You Stack a Washer and Dryer?